Konicom recognizes that data is a critical asset to our customers' business. As a result, Konicom employs sophisticated data recovery tools to help customers retrieve their data in the events of a hard drive crash. Our data recovery experts have accumulated more than 18 years of experience in disaster recovery. We are confident in recovering data from hard drives with physical damage and/or mechanical failure, as long as the disk is free of scratches. 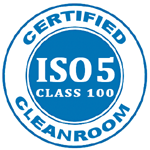 Our ISO 5 / class 100 certified cleanroom allows us to work on data recovery cases that require hard drive parts repair or replacement in a dust-free environment. We specialize in SATA, IDE, SCSI, SAS and RAID array data recovery, including software configured and hardware configured RAID data recovery. We also provide emergency data recovery when the data is crucial to business operation. Our online Work Status portal allows customers to check their data recovery status 24/7. "No data, no charge" is our slogan. If we cannot recover the data that is pertinent to you, you will not be charged. Our charges for data recovery are based on time and effort spent on the recovery process, not on the quantity of data recovered. To learn more information about our data recovery services, click the link to visit our Data Recovery Center. Click Here for a quick pricing reference. In addition, as a preventive measure, Konicom offers Automatic Secure Remote Data Backup service which helps protect against loss of data. For as little as $10/mo (up to 10 GB of data, upgrade available), you'll never again have to worry about data loss because of a hard drive crash or system failure. We can also help you set up mirror (redundant) hard drives to minimize business downtime in the event of a disaster. For any questions, please feel free to Email Us at any time. 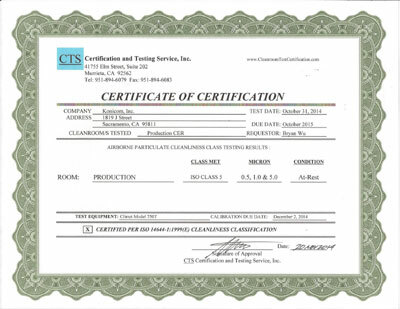 To see our technicians in actions, please click here.